Chance The Rapper’s Coloring Book has been on repeat since it dropped. It’s our favorite album of the year so far, and although we needed no encouragement to keep listening to Chance, Kanye, Lil Wayne, 2 Chainz, Ty Dolla $ign, Future, and the rest of the all-star cast’s songs, the chopped not slopped version is here and it’s awesome. Houston chopped-and-screwed legend OG Ron C and his Chopstars crew, Slim K and DJ Candlestick specifically, have done their thing with Coloring Book, creating a whole new slowed-down world to explore. 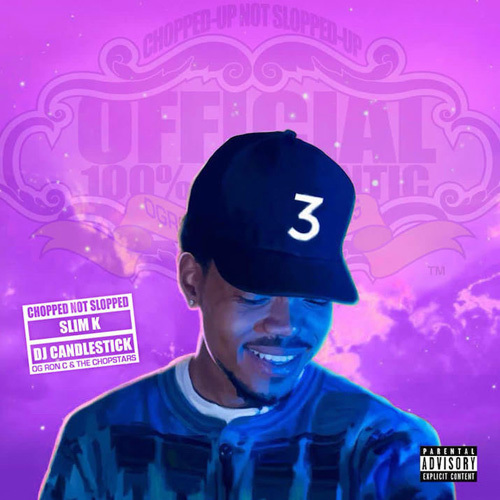 From the intro to the mesmerizing versions of standouts like “Mixtape,” “No Problem” and “Summer Friends,” the variety of guest features on Coloring Book make The Chopstars’ version especially interesting.